This is Jonathan Schreter’s third consecutive year on IBA’s Top Producer list. He maintains a commitment to both insurance and education by handling the risk exposures of charter and independent schools, as well as higher education clients. Schreter received his CIC designation in 2010 and joined Bolton the following year, bringing with him a decade’s worth of experience in marketing and advertising. His marketing background, combined with early leaning in analytics, has allowed him to develop a creative approach to risk solutions, catering to the varying needs of not just educational institutions, but also middle-market businesses in the technology and entertainment industries. In keeping with his dedication to continuous learning and to inspiring creativity, Schreter recently became chairman of the board for Inner-City Arts, a Los Angeles nonprofit dedicated to arts education for at-risk youth. 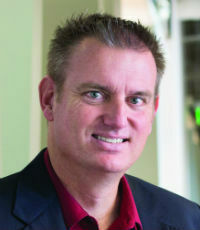 Schreter also serves as the president of the alumni network of UCLA Anderson, where he received his MBA in 2000.